Finally I walked in the door and tore into my Birchbox to find the most exciting thing. My earbuds in pink and green no less! I LOVE them! They are so comfy too! Also included was Alterna BAMBOO® UV+ Color Protection Fade-Proof Fluide . Seriously, how perfect is this for me? I'm in the sun all the time either with work (as part of my job entails being outside in the sun) or on the boat. Plus, I do have blond highlights so I can't wait to try this out. Everyone knows the sun can seriously dry out your hair and this gloss is not only supposed to protect your hair, but keep your color bright for an additional two months! Yes please! 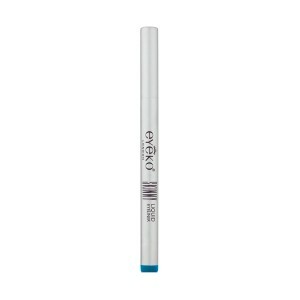 I also received the Eyeko Skinny Liquid Eyeliner which I haven't yet tried out. I don't wear any eye makeup except for special occasions, so this I'm afraid will go into my makeup box until that next special occasion comes around. 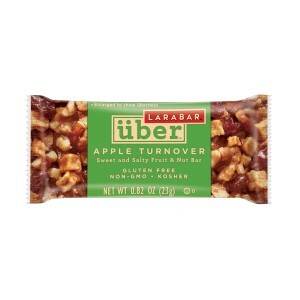 LÄRABAR® über - I ate my Banana Foster bar this morning. It tasted great, very natural but my gums hurt! Isn't that weird? They actually stung. I threw the wrapper away before I could read the ingredients to find out what could possibly do that so I'll never figure that out. Any ideas out there or did this happen to anyone else? I also received one of the perfume samples but I forgot what it was and tossed it aside. I don't wear perfumes. I sneeze like crazy when I do, so can't help you out there. All-in-all, I'm very happy with my July Birchbox. 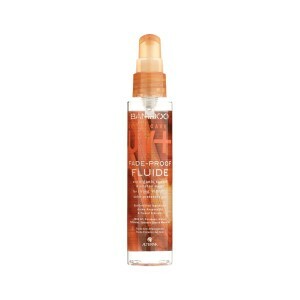 I'm most excited about the Alterna Bamboo Color Protection Fluide as I would likely use this daily. As I said from my June Birchbox, the stila one step bronze was my favorite and how lucky was I to get a full size bottle! Yes, this looks extremely dark (the picture shows it lighter than actual), especially for someone with my skin tone. However, it works fabulously. First, I always keep my face covered when I'm in the sun. I don't want to be that 40 year old with 80 year old skin. No thank you! And I always wear sunscreen on the rest of my body, but I do tan. So....my body is darker than my face and it looks weird. Enter stila one step bronze. I cover my entire face and then apply my Pur Minerals powder over it which gives me that natural tan look. In addition it doesn't clog my pores (it actually makes them look smaller according the Birchbox. Yes? Maybe?). It's very, very lightweight, almost like a foam and it doesn't make my face shiny. I love this stuff and think this will be a regular in my summer makeup routine going forward! Oh yes...it also makes my face sparkle. Gives it a little glow. Always fun for a summer look. 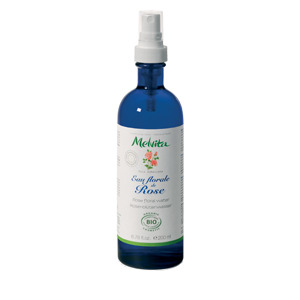 I also LOVED the Melvita Floral Water. When they talked about this floral water on the June youtube video and how refreshing and uplifting this water felt, I was quite skeptical. They were 100% on the money. A little spray of this on your face and you immediately perk up! A combination of the cool water and the rose smell just lifts you out of a funk. I use it at work when I'm stuck in a rut and it perks me up immediately. Who knew? Birchbox did! If you haven't joined Birchbox, click to join asap! It's lots of fun and a great, inexpensive way to learn about new products and try them out without shelling out the big bucks. Those earbuds are so pretty. Is everything you receive pretty much trial size? What a great box of samples! I got some similar items and few different ones. I am always amazed at how different each box is from one person to another. So funny how you got a lot of different things than my birchbox. I'm posting what I got on Friday. Love your polish. Didn't get that! Birchbox always sends me something I never knew I needed but now can't live without. I got a stannic lip color last month that is the perfect shade of natural but polished pink/red. I never woulda thunk it from the packaging. I've heard mixed reviews about Birchbox, so I've never joined. But I do love getting free samples!